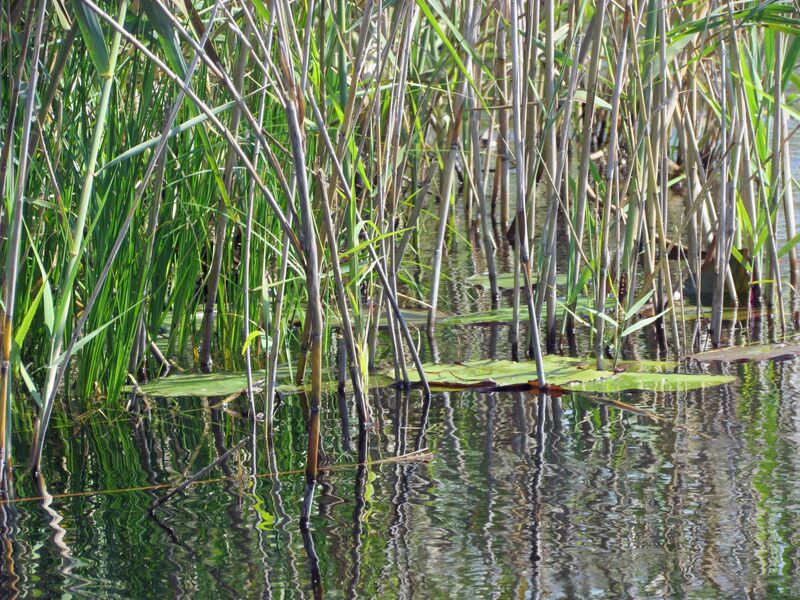 Wetlands are highly productive ecosystems – an interweaving of myriad plant and animal species that defies an easy analysis. The previous four times I came to the Okavango Delta were in “dry” years when water tables were low and the floods barely reached as far as Stanley’s Camp. 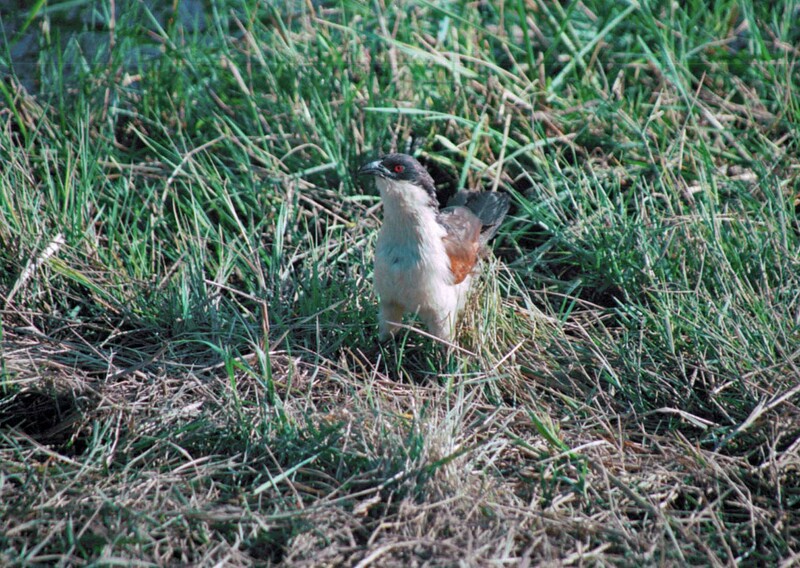 I saw two, maybe three Burchell’s coucal (Centropus burchellii. ) Now they’re everywhere – rising from the grass to look for snails, frogs and toads, new opportunities for these predators with fierce red eyes. Interestingly, it is mostly the male who incubates the eggs. At dusk, as the elephants head back from their evening forage, I often hear the liquid song of a coucal: Doooo, doo-doo-doo-doo, doo – the sound of water dripping into a wooden bucket, or pan-pipes rapidly descending a scale. Water is rare and precious in Botswana – so much so that the pula, the equivalent monetary unit as the dollar, is the same word used for rain. The lack of water leaves much of Botswana’s desert areas uninhabitable. Paradoxically, so do the floods, two months downstream from the rains in Angola. 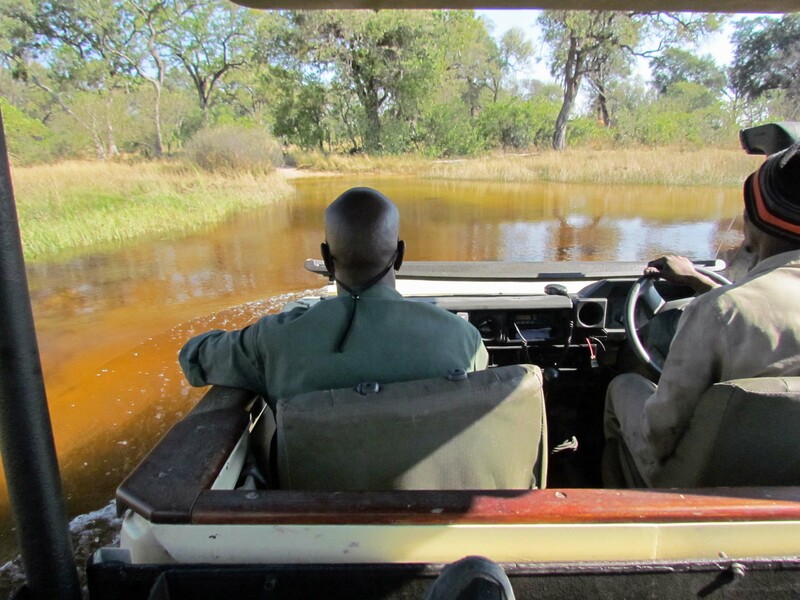 The fickle nature of the Okavango’s channels defy permanent infrastructure, such as paved roads. Often vehicles become immersed up to their floorboards. Each time I follow the elephants to another section of flooded road I’m both delighted and chagrined. Delighted at the number of secret waterways – so numerous, so new, that no one can memorize them over the length of a year. Chagrined, because I will need to wade. My pants are already stained by decayed plant muck. All of this water, and I cannot drink a drop of it. Thankfully, the pipes at Doug and Sandi’s camp tap well water. Some of this year’s road-channels are deep enough for mokoro, canoe highways, but not deep enough yet for crocodiles and hippos. Bits of plants tumble along in slow clear currents down previous roads; water lilies and reeds fill entire channels, remind me of paintings by Monet. 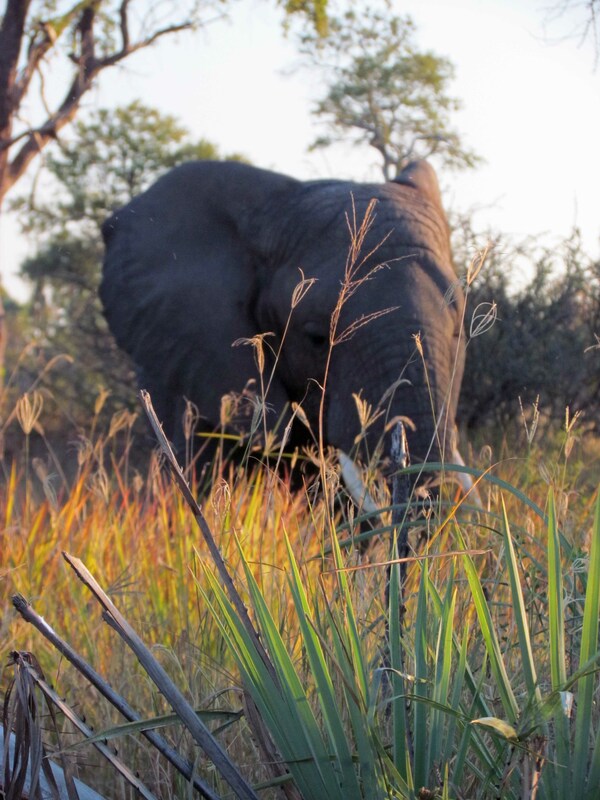 Even elephants can get lost behind huge stands of palm and grass.